You’re forgiven if you think this article is about racial discrimination. It’s not, although the author, Brad Flahive, who no doubt has a touch of the tar brush himself, would have you think it is. It’s a whiney article bemoaning Australian policy on all New Zealanders, regardless of race or any other defining character. But, like a lot of people, Flahive can’t resist turning it into racist drivel. Hoping, no doubt, to stir up some sympathy for part-Maori in Australia who are finding it tough having to live in the real world like everyone else, unable to claim special status and therefore special privileges – the poor babies. Up to 170,000 part-Maori live in Australia – 20 per cent of all part-Maori – but many face hardship on the yellow brick road to Oz, particularly on a visa without a heart. Brad Flahive reports. ​Visas don’t discriminate – part-Maori are on the same Visas as non-Maori, so if part-Maori are facing more hardship than non-Maori, it’s not the fault of the visa. Nicola Adams always carries around her heaviest moment with her – the remains of her one-year-old son Alaska sit in a backpack and it goes everywhere she does. New Zealand-born Adams (Ngapuhi) crossed the Tasman seeking sunshine and fortune in Western Australia, but life turned dark when her son died suddenly in 2013. In the weeks that followed, Adams found little support from the Australian system and met a bureaucratic brick wall while searching for answers. Unable to cope, she fell into depression and a cycle of drug use and crime followed. Two years earlier, in 2011, Adams left south Auckland with her husband and two children. Two years into living the Australian dream, Adams became pregnant and a happy stay-at-home-mum of three children under the age of three. But a year later Alaska died. Eight months after that Adams’ husband left the country – he was unable to handle her fall and took their two kids back to New Zealand. “I didn’t know until he sent me a photo of him and the kids in Facebook messenger saying ‘see you later, we’re out’ – I just thought f… this. Life then spiralled out of control. Homeless, Adams turned to prostitution and selling drugs to keep herself alive. Unable to earn enough money to get back to New Zealand, Adams devised a plan, under the cloud of methamphetamine, and drove across the country to fly home from Melbourne. The fateful trip ended with her in prison accused of a robbery she didn’t commit. However, her stint in jail sobered her up and a judge finally sent her back to New Zealand. Adams has since turned her life around, but still has a tough time seeing her children. She is a now motivational speaker with a significant following in New Zealand and Australia. Her talks inspire perseverance and warn against the bad decisions that can sever family ties. 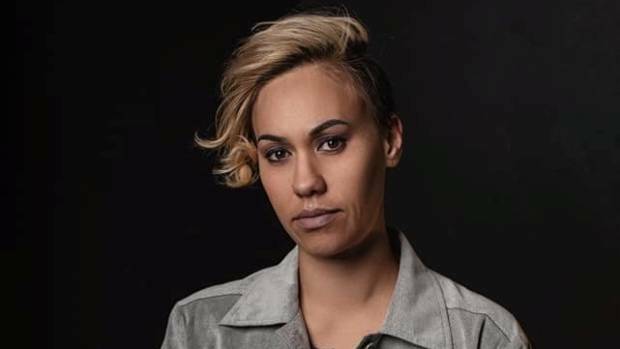 Her story has roots to that of many young Kiwis, particularly part-Maori and Pasifika, that fall through the gaps of Australia’s unique visa relationship with New Zealand. Again, not the fault of the visa. If it’s particularly part-Maori and Pasifika falling through the gaps, then you need to look at part-Maori and Pasifika people, not at the visa. At least Adams admits it was her own bad decisions that caused her problems. Historian and researcher Paul Hamer, who has studied the migration of part-Maori to Australia, said there is little to no support for New Zealanders who find themselves in trouble across the ditch. As part of his PhD thesis Hamer conducted a survey of about 850 part-Maori residing in Australia which revealed several key categories troubling part-Maori with non-protected special category visas. “It’s particularly hard for part-Maori women who suffer domestic violence, for them it’s an enormous problem. They can’t get any emergency public housing or get in shelters like women’s refuge. The Hague convention is an agreement that ensures children who are taken or kept overseas are returned as quickly as possible to the country in which they usually live. There is also little support available to anyone made redundant or having trouble finding work, including through injury, he said. Why is it “particularly hard for part-Maori women who suffer domestic violence”? The same situation would apply to any woman, regardless of race, that suffered domestic violence. They are not denied emergency public housing or entry to shelters because they are part-Maori, they are denied it because they are not Australian citizens. That is the only reason! Part-Maori were also adversely affected following a change to the Australian Migration Act in 2014, when the threshold was lowered to allow greater deportation rates. Of the 1300 people deported after the change, nearly two thirds were part-Maori and Pacific Islanders. About 40 per cent of those were part-Maori, Hamer said. “In the 80s and 90s, a process weighed up the impact your removal would have on you and your family against the impact on Australia, even for people who had committed quite serious offences. Kiwis who go to Australia, get jobs and live their lives being productive, contributing, law-abiding members of society do not get deported. If the big numbers of those being deported are part-Maori and Pacific Islanders, then you have to look at why. What behaviours are they exhibiting that makes them undesirable residents? I’m sure we can all guess, because we have enough of them still in New Zealand. This, by the way, is the only reason I do not agree with Australia deporting the no-hopers and scumbags. We have enough of them still here already! We don’t really want them back, thanks. In 2016, a part-Maori couple found their life insurance in Australia was worthless because of their residential status. Judith and Charles Cairns discovered they had paid the ANZ bank $20,000 over nearly a decade for life insurance that would never pay out. The Cairns took a case of racial discrimination to the New South Wales Anti-Discrimination Board and have won the right to take legal action against ANZ. The right given to the Cairns to take legal action on the basis of race is wrong and should be rescinded. This is not a racial discrimination case. The same could have, and probably has happened to other people, of different races/colours, and who are living in Australia on visas and are not Australian citizens. Why do this couple have to make it a race issue? Why do they think this happened because they are part-Maori? It happened purely because they did not know their rights, which allowed ANZ to sell them a policy that was worthless. It’s possible that the person from ANZ who sold them the policy didn’t know that they would be unable to make a claim, or didn’t know that the Cairns were not Australian citizens. But whether the ANZ knowingly sold them a useless policy or not is the issue, not that it sold it to them because they were part-Maori. Whatever the situation, the Cairns have to bear some responsibility for not reading what they were signing, or knowing their rights and obligations under their visa. That is your responsibility as an adult when making adult decisions or adult transactions. In August, a part-Maori Niuean man working in Queensland was given a canister labelled ‘Black Guy Repellent’ by his co-workers when he asked for sunscreen. McDuff Tupetagi is claiming the incident forced him to take sick leave for mental distress and anxiety, and made him feel “like an unwanted creature or pest.” He is now suing the Fraser Island tour company and two of its employees for discrimination. Research in the Who Watches the Media report found that of 124 race-related opinion pieces published between January and July this year, 62 were potentially in breach of one or more industry codes of conduct, because of racist content. If you trawled through the media stories of discrimination involving Kiwis in Australia the majority of those cases would involve part-Maori and Pasifika, Hamer said. Newsflash – it’s a big bad world out there. It’s not fair and it doesn’t care about your feelings. If you look for racism, and just about any other ‘ism’, hard enough, you’ll find it, even where it doesn’t exist. That’s the trouble with today’s snowflakes. Get on with your lives, grow a spine, and stop thinking that everyone is out to get you or against you, and you’ll probably find they are actually not! Most people are actually too busy making their own lives to worry about how to mess up yours. It’s actually no harder for you than it is for anyone else. So drop the oh, woe is me victim mentality and get on with it. Vicky Rose (Ngai Tahu) runs a food bank and crisis hub on Queensland’s Gold Coast. She said of the 20 or 30 daily inquiries, half of them are Kiwis. “They’re not people who have just come over, they have been in Australia for ages, but didn’t understand what their visa gave them. “I started this job nine years ago, and wondered why we were seeing so many Kiwis, then I realised Kiwis just don’t have the same rights that Australians do when they go to New Zealand,” said Rose. “For the most part, here on the Gold Coast employers love Kiwis, love our part-Maoris because we’re motivated and hard workers. Interesting how part-Maori find themselves in all the wrong statistics no matter where they live. Obviously the common denominator is part-Maori. Which proves that part-Maori are the authors of their own problems. Their propensity for bad diets, alcohol, drugs and violence combined with poor parenting skills and bad decision making is their problem. Not colonisation or institutionalised racism or any of the other excuses they come up with. But of course no one is allowed to say that, which is exactly why the problem will never be fixed. Jo Kamira (Ngapuhi) has lived in Australia most of her life, and Canberra for 25 years. During the 90s she helped lobby the Australian government to include part-Maori in the census count. It was changed in 1996. Kamira recalls a recent story of a part-Maori woman held in detention after living in Australia 30 years. “She has an Australian partner who is dying but they would still not let her out. “The new policy around deportation is just blatant racism. The media talk about how it’s affecting New Zealanders, but that is code for part-Maori. Kamira’s parents left New Zealand during the economic downturn in the 70s, seeking fortune in Sydney. Kamira and her sister went with them and the family never left. There weren’t a lot of part-Maori around at that time so we all stuck together, she said. “The government doesn’t acknowledge the rich tapestry of our contribution here.” But those who stayed have campaigned for the right to put down roots. Kamira finds herself, like many others, not ever knowing the New Zealand experience, but identifying as part-Maori. “I will quite cheerfully say I’m a ‘Mozzie’, but I’m not a Kiwi. So now part-Maori want the Australian Government to treat them differently to everyone else, like the New Zealand Government does. To some part-Maori, the lack of being treated as special, or being given special privileges is racism, when in fact it is the opposite of racism! As Thomas Sowell said, “when people get used to preferential treatment, equal treatment seems like discrimination.” He also said “If you have always believed that everyone should play by the same rules and be judged by the same standards, that would have had you labelled a radical 50 years ago, a liberal 25 years ago and a racist today.” Ridiculous but oh so true! As for the statement that part-Maori have made a <em>”rich tapestry of contribution”,</em> I can only say REALLY? Sounds like an overly-walked and worn-out doormat. That’s why they want to send large numbers of you home, is it? Australia did not beg part-Maoris to move to Australia. You cannot just move to the land of Milk and Honey and expect to milk the honey without earning it. You are guests in a foreign country, be grateful that you are allowed to stay there at all and make a decent life by getting jobs, paying taxes and being decent human beings for God’s sake. Stop expecting everyone to baby you because you are part-Maori. You are not special. Nothing you contribute is more or less special or valuable than what any other race of people contribute. Get over yourselves and get on with life. Like other New Zealanders, the vast majority of part-Maori ex-pats live in Australia, but there are also sizeable part-Maori communities in the United Kingdom, North America, parts of Asia and the Middle East. But as part-Maori whanau and communities become increasingly diasporic and transnational, tricky questions are raised about collective identity, obligations, community boundaries, and belonging, according to the National Institute of Demographic and Economic Analysis. Hamer said it needs to be recognised that part-Maori have a transnational future. So <em>”tricky questions about collective identity, obligations, community boundaries and belonging”</em> don’t apply to anyone but part-Maori? Again, this is not a race issue. Anyone living overseas away from their friends and family will face the same questions. It also proves one of the disadvantages of <em>”collective identity”</em> thinking. It becomes less of a problem for the individual who is raised to be resilient and independent. Iwi membership depends on whakapapa not physical location or your passport, it’s different to citizenship, he said. If part-Maori fail to integrate as fast as pakeha, that is a result of their culture and upbringing. You can’t blame it on their visas or the Australian Government. Part-Maori are not given a different visa to anyone else, they receive the same visa that all other kiwis are given. It’s their inability, or worse, their unwillingness, to fit in and adapt to Australian culture and way of life that’s their problem. So many part-Maori want to cling to their culture, their genealogy and everything that entails, but it obviously ill equips them for when they go abroad. Once they are abroad they then expect special advantages and attention and help, rather than adapting to their new home of choice. That’s wrong. It’s wrong thinking. Stop trying to change ‘the system’. Change yourself. You are the only one you have control over. Stop expecting everyone else to make your life better. That’s up to you. That’s your responsibility and yours alone. If you’re not happy, stop whining about it and utilise and develop your own resources to do improve your lot..